Telligen hires Maureen Schafer to direct veteran’s health programs and facilitate growth within the Defense Health Agency and Veterans Administration. 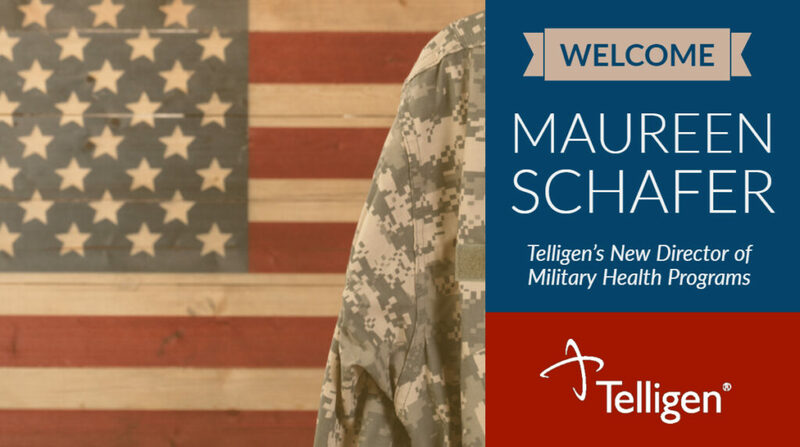 Telligen is pleased to welcome Maureen Schafer, PhD, as director of military health programs. In this role, Dr. Schafer will support Telligen’s ongoing business development efforts within the Defense Health Agency, Veterans Health Administration (VA), and adjacent markets. Dr. Schafer is an advanced practice nurse, educator, military veteran, and health information technology expert. Prior to joining Telligen, she provided clinical informatics consulting and subject-matter expertise to the United States Department of State and the Department of Defense (DoD). She also led a collaborative effort between the DoD and VA to implement what would become the largest electronic health record system in the country. Dr. Schafer currently serves as an adjunct professor at Georgetown University in the Health Administration program teaching students about information technology systems management in healthcare organizations.